Bring the culture of Ancient Australia to your classroom with indigenous teaching resources aligned to the Australian Curriculum! A subscription to the Crackerjack website provides you with unlimited access to a huge selection of Aboriginal and Torres Strait Islander teaching resources, with lessons full of cultural videos and songs, online activities, and Aboriginal Dreaming stories perfect for primary school students! The Crackerjack Education website is developed by an expert team of Indigenous educators and designed to help bring Aboriginal and Torres Strait Islander activities into your classroom. Subscribe today to receive access to our full suite of Indigenous teaching and learning resources. Our subscriptions also give you the option to apply for 5 hours of professional development accreditation. Sign up for a membership today! Crackerjack’s indigenous teaching resources are rooted in our Teaching With Aunty lessons — 56 guided lesson plans with corresponding materials to help you incorporate Aboriginal and Torres Strait Islander culture into your classroom. Each of our Teaching with Aunty lessons has been individually designed and written to match the skills and elaborations found in the Australian Curriculum for multiple subject areas. All of the Aboriginal and Torres Strait Islander resources have been specifically developed by our expert team of Indigenous educators. Search by Year Level and Knowledge Area using the box on the left, or simply click on the areas of the Knowledge Circle below to get started. Preview our free indigenous teaching resources today to get a taste of the Crackerjack lessons and activities! 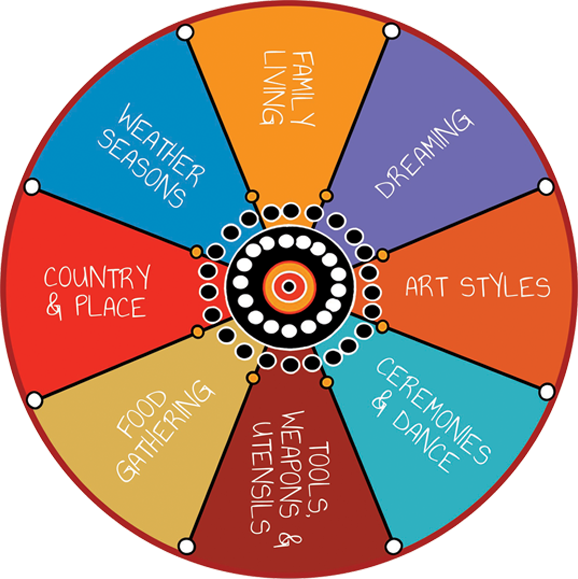 The Knowledge Circle is the basis of Crackerjack’s indigenous teaching resources — it features the eight Traditional Knowledge Areas that are essential elements of Aboriginal and Torres Strait Islander education. Each Teaching With Aunty lesson is grouped under one of these knowledge areas to help target your teaching and learning in the selected topic and subject area. Click here to read more.